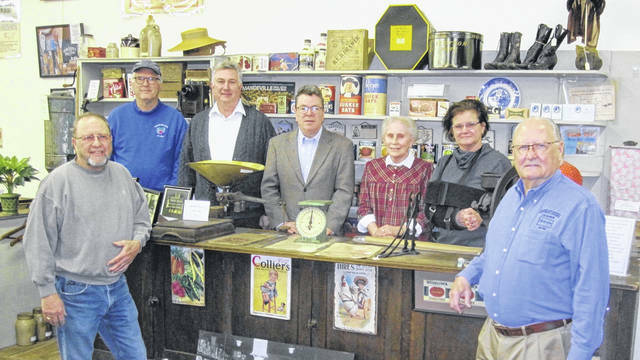 The Champaign County Historical Museum has created a new spring fundraiser, Antiques Appraisal Fair, to be held in the museum from 6 to 9 p.m. Thursday, April 25. Patterned after the PBS series “Antiques Roadshow,” the event will be sponsored by the locally owned and operated Freshwater Farms of Ohio (fwfarms.com). All proceeds will benefit the museum, located at 809 East Lawn Ave., Urbana. Tickets may be purchased at the museum (Mondays and Tuesdays), at local banks – First Central National, Peoples, Perpetual, Civista Bank, all county Security National Bank locations – and online at www.champaigncountyhistoricalmuseum.org.